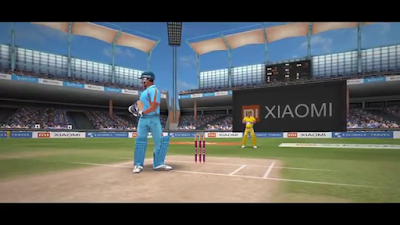 Play cricket games any time anywhere only 20 MB, download and play the latest 3d lite cricket game. We play many cricket game on our android device. The famous game like World Cricket Championship 2, Real Cricket 18, World Cricket Battle and many more. But these game only playable on some of the devices means we can't play this game on our 1 Gb and 512 Ram devices. So, that's why many developers launched a new cricket game for those devices who can't play this game. We already know those game which can be playable on 1 Gb or below the device. The name of those game is Wcc Lite, Real Cricket Go. This is the lite version of those big game which can be played on the low-end device. 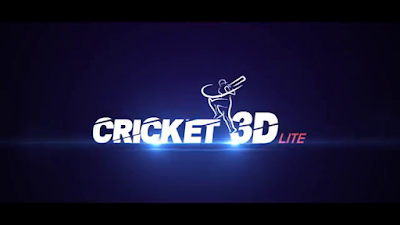 So, in this article, we provide you to a brand new lite cricket game for your Android device. Which you can play 1 Gb or below devices with amazing 3d play visual. The game name is Cricket Lite 3D: Real-Time Multiplayer. This game was unreleased means we have to play as a beta version. This game developed by Hungama company we already know the Hungama company because before this game they also launched many games. This game is basically focused for those players how are not able to play 3D games and we can also compete for another player in the world in real time. There are many amazing features we get in this game. Let discuss some of those features. We can play various mode in this game Quick Match, Career Mode yes we also get career mode in this game but we can only complete challenges in the career mode. No, complete career mode. The main features of this game are PvP means Real-Time Multiplayer Mode. You can play with your friends in many places. Yes, you can also make and create your own team in this game. So, make sure that create a powerful team and win every game. You get more than 50 animations in this game. The most unique animation is Dancing when you get a wicket or hit four then the player dancing on the crease which is funny but looks great. So, these are the most important features of this game apart from this you can also get many features. And it's a Beta version so, we can accept many features in future updates. Thanks For Reading If You Have Any Doubt Then Let Us Know In The Comment Box. And Share This Post With Your Freinds And Family.